Spiced Peaches: How to Make home-canned Spiced Peaches! 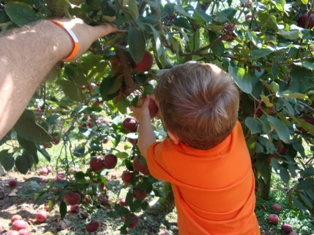 Find a pick-your-own farm near you! Then learn to can and freeze! Start here to find a farm near you! How to can, freeze, make jam, etc. This month's notes: April 2019: Stored US apples are still available. See your state's crop availability calendar for more specific dates of upcoming crops. Easter will be April 16, 2017 - if you want to take your children to a free Easter egg hunt - see our companion website to find a local Easter Egg hunt! Please tell the farms you found them here - and ask them to update their information!! How to Make Homemade Spiced Peaches - Easily! 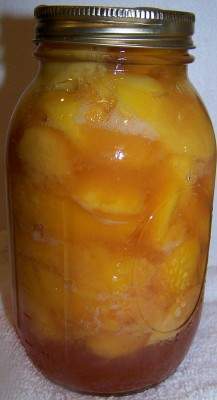 You think making and canning your own spiced peaches is difficult? Nope! Here the traditional southern spiced peaches recipe, made easy! Prepared this way, the jars have a shelf life of 18 months to 2 years, and require no special attention. A side benefit is that your house will smell wonderful while it is cooking - much better than potpourri! The most important step! 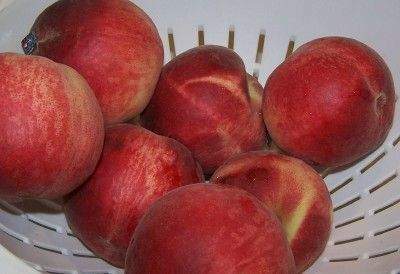 You need peaches that are sweet, and to make the work easier, cling-free (also called freestone). This means that the peach separates easily from the pit! Same with nectarines, and this doesn't apply to cherries or plums. Choose ripe, mature fruit. They should not be mushy, but they also should not be rock hard: just as ripe as you would eat them fresh. Green, unripe peaches will soften but will not ripen, nor have the flavor of tree-ripe peaches. After this step, I'll just refer to "peaches" but it applies to plums, cherries and nectarines. You can pick your own, or buy them at the grocery store. For very large quantities (more than a few bushels), you'll find that real* farmer's markets, like the Farmer's Market in Forest Park, Georgia have them at the best prices. 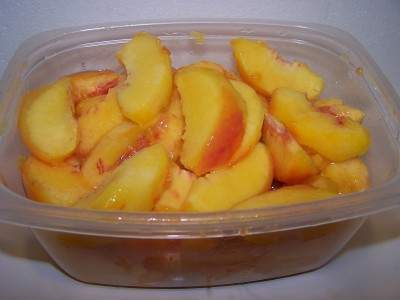 It takes about 24 medium sized peaches or nectarines (or about 30 plums) to make 3 quarts of prepared spiced peaches. Step 3 -Wash the peaches! 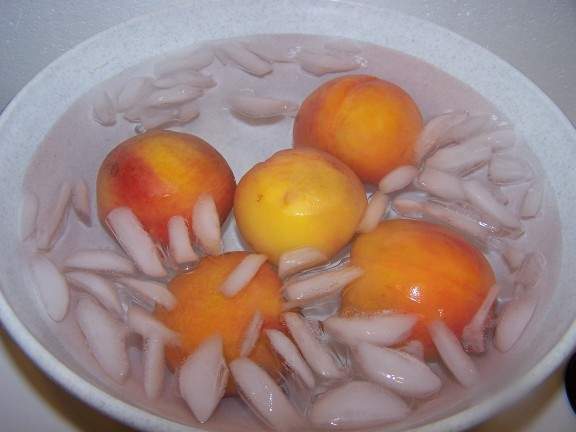 I'm sure you can figure out how to wash the peaches in plain cold or lukewarm water. Nope, we're not going to peel them by hand; that's way too much work. Instead, here's a great trick that works with many fruits and vegetables with skins (like tomatoes): just dip the fruit in boiling water for 30 to 60 seconds. Remove from the water using a slotted spoon and put into a large bowl or pot of cold water and ice. The skins will easily slide off now! then in cold water for 2 min. 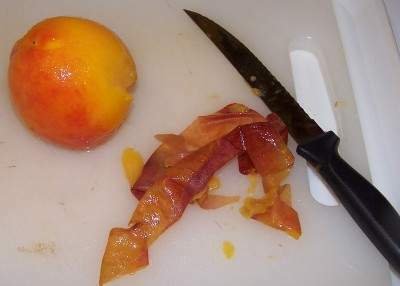 Nectarines do not need to be peeled, if you don't mind the skins. in a medium sized pot (6 quarts or bigger). and get it heating over medium heat. Stir until sugar is dissolved. NOTE: The sweetener can be sugar, Stevia (in a prepared form like Truvia, it measures same as sugar; if you use another form, you'll need do your own conversion) - or Splenda, if you prefer, , fruit juice (peach juice or white grape juice work well) or none at all! Generally, spiced peaches is a fairly sweet concoction, so you might want to add some sweetening. I usually add about 4 cups of sugar and 4 cups Splenda (or about 1/3 that if you use Stevia, which is my preference), so it's sweet, but not loaded with sugar. Tie the cinnamon sticks and whole cloves in a double thickness of cheesecloth and add them to the pot. For spicier peaches, use additional cloves and cinnamon sticks. 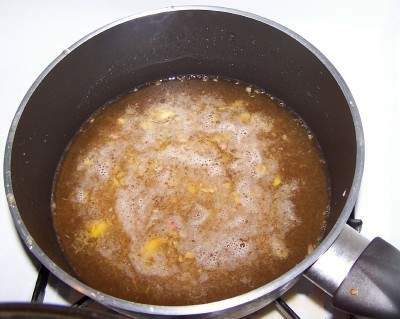 Bring to boiling, cover the pot, and boil for five minutes. remove the cover and boil for five minutes longer. Add peaches to hot syrup. 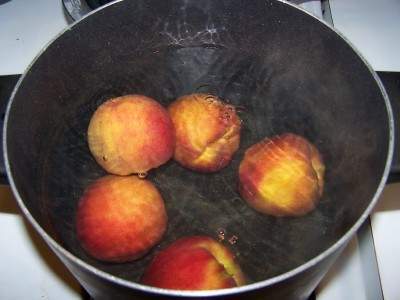 Bring syrup to boiling again and simmer peaches for 10 minutes or until tender (covered with a lid or splatter guard). 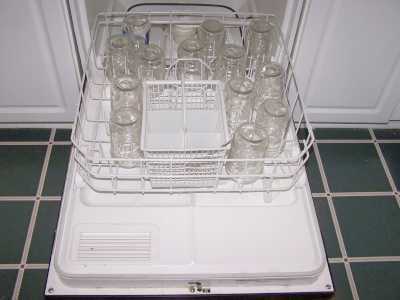 Leave the jars in the dishwasher on "heated dry" until you are ready to use them. Keeping them hot will prevent the jars from breaking when you fill them with the hot spiced peaches . 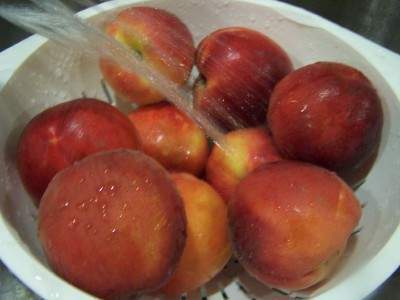 Recommended process time for Spiced Peaches in a boiling-water canner. This is the same type of standard canner that my grandmother used to make everything from applesauce to jams and jellies to tomato and spaghetti sauce. 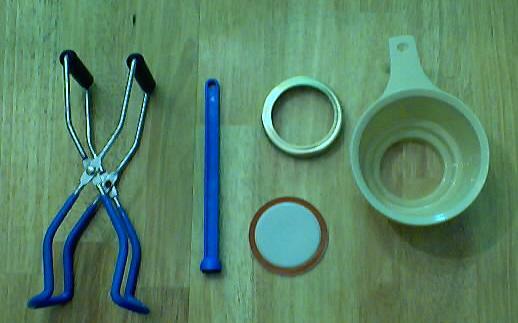 This complete kit includes everything you need and lasts for years: the canner, jar rack, jar grabber tongs, lid lifting wand, a plastic funnel, labels, bubble freer. It's much cheaper than buying the items separately. You'll never need anything else except jars & lids (and the jars are reusable)! There is also a simple kit with just the canner and rack, and a pressure canner, if you want to do vegetables (other than tomatoes). To see more canners, of different styles, makes and prices, click here! Don't forget the Ball Blue Book! Permission is given to link to any page on www.pickyourown.org Do NOT copy and republish this page in whole or part, that is a copyright violation which will be prosecuted: Link to the page instead of copying it!